A distributor for nearly 10 years, Intermedical UK will be exhibiting the 2nd generation NObreath at the annual Association for Respiratory Technology & Physiology (ARTP) conference and can be found at Stand 25. 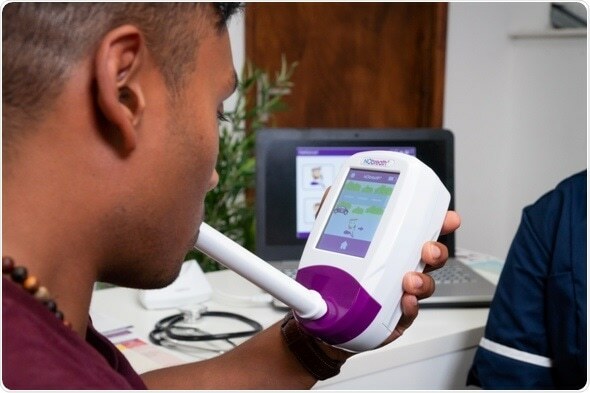 The NObreath® offers a quick, simple and non-invasive method of measuringFeNO to assess airway inflammation, aiding in the diagnosis and management of asthma. Interpreting FeNO levels aids in identifying patients who do/do not require on-going treatment whilst also differentiating between allergic (eosinophilic) and non-allergic asthma, and if used daily, FeNO measurements can help to predict exacerbations and attacks. 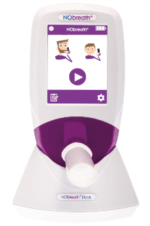 Alongside a fresh and aesthetically pleasing design with a full-color touchscreen, new features of the 2nd generation NObreath® also include the ability to save patient profiles on the device, Bluetooth connectivity, and SteriTouch® technology for optimum infection control. Furthermore, the NObreath® comes with free patient management software allowing the equipment to synchronize with a PC, enabling reports to be generated, data to be backed up, and much more. This year, ARTP is taking place between 31 January and 1st February in Glasgow.